Design and build of highly collaborative offices, huddle areas and conference spaces for leading lease-purchase provider. Aaron’s, Inc., a leading provider of lease-purchase solutions through its more than 1,860 Company-operated and franchised stores in 47 states and Canada. 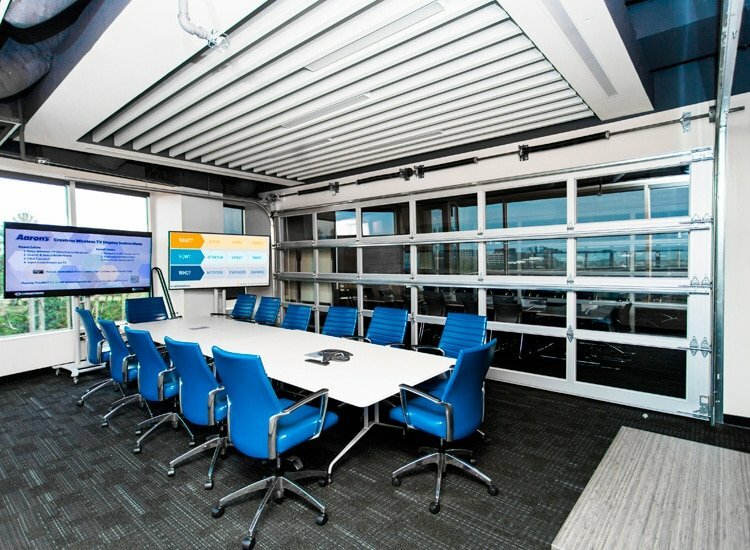 ASD® was selected to design and build the Audio Visual, Sound Masking and Structured Cabling system in Aaron’s Corporate Headquarters in Atlanta, GA. In a highly competitive job market, Aaron’s set out to provide a space that would set them apart. Aaron’s team is highly collaborative and wanted offices, huddle areas and conference spaces to be ready for people to work together anywhere at anytime. In what ways could Collaborative Spaces be optimized? 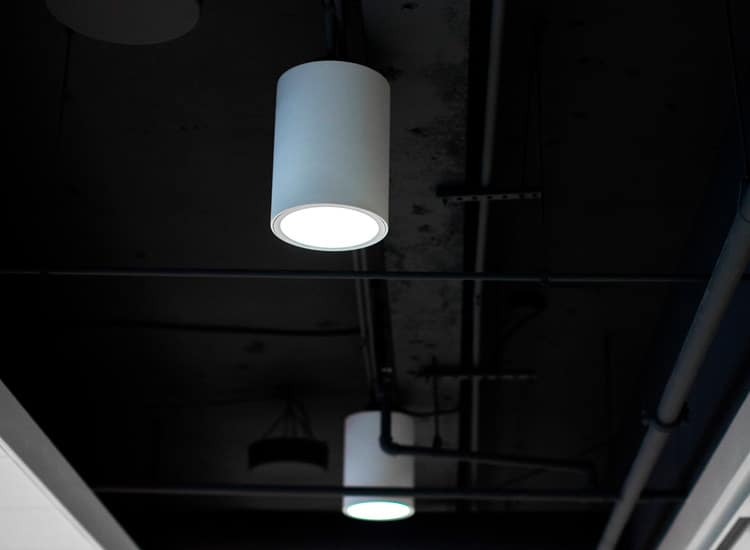 In standard offices for Managers, could technology be used for collaboration? What will the requirements of new technology be for infrastructure? ASD® worked with the Aaron’s team extensively through the programming process to develop new room standards. Input was gathered from various departments as well as construction & Information Technology. ASD® designed a 3-Way training room for employee education. The innovative design took into account garage doors that separated the rooms. The rooms can be used individually or combined in many configurations. Top managers, using wireless screen sharing technology, can collaborate in their 1:1’s or have an on the fly problem solving session without reserving a conference or huddle room. 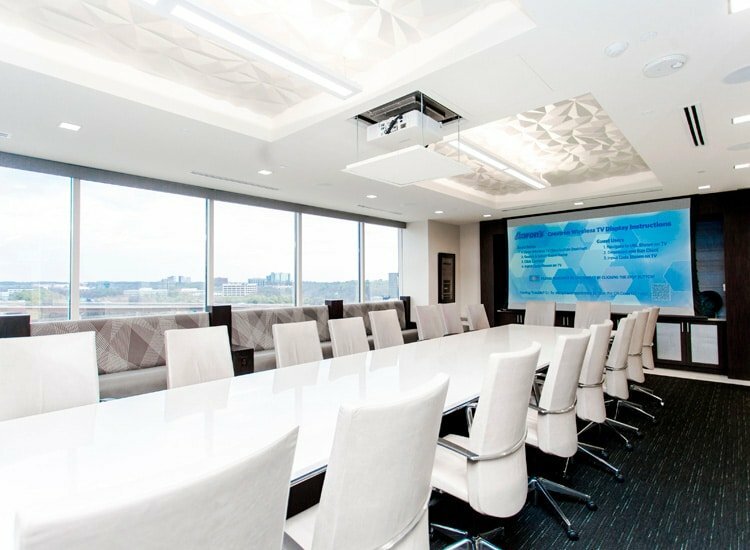 ASD® designed a state of the art board room for Aaron’s executives to meet. Complementing the architects vision for the room, the projector drops down from the ceiling, touchscreens are placed inconspicuously and the room is amazing. Aaron’s new Headquarters is not just a great place to come to work, but it’s a great place to get work done. 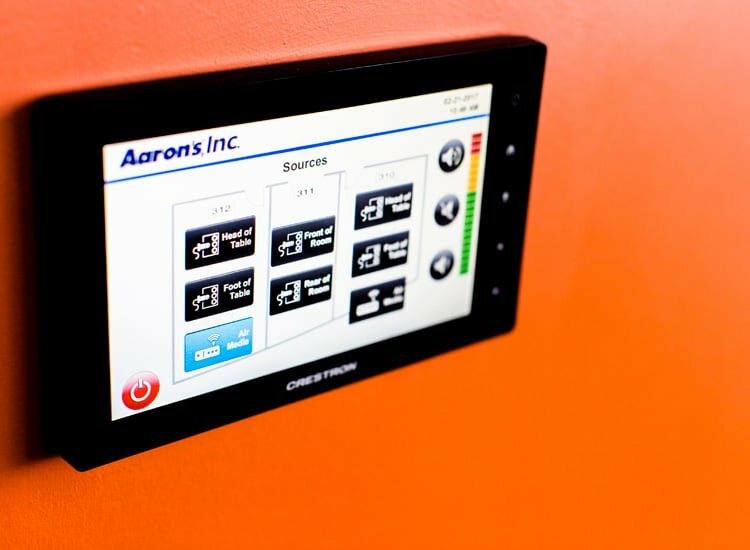 The technology enables the space to perform so that Aaron’s employees can accomplish their goals.